Nearly three months ago, we learned about the potential positive impact curcumin could have on aging horses with joint stiffness. 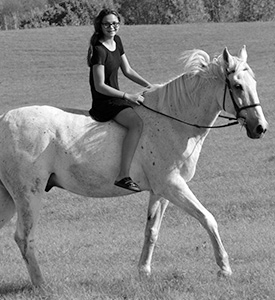 Our 18 year-old gelding has been an award-winning jumper for most of his life and was ridden quite hard when he was younger. He has a history of joint stiffness as a result. We started him on Curamax and after about three weeks of twice-daily supplementation he was walking better with less stiffness, especially noticeable when being brought out in the morning after being in his stall all night. Now, approaching three months of use, his energy levels have skyrocketed! He is jumping better, galloping any chance he can get and even bucking every now and then because of his boundless energy. You can tell he feels good. It’s like having a young horse again. Our results have been nothing short of amazing. We are so happy we heard about using curcumin as part of our horse’s joint care plan… we would highly recommend it to anyone!